STARDOLL FREE | Underneath Stardoll Blog: Free necklace from "In the middle books"
If you are from USA, just log into your account and you will have this necklace at your suite in a IN THE MIDDLE BOOKS bag. Done. The freebie will be at your suite in a while in a "IN THE MIDDLE BOOKS" bag. 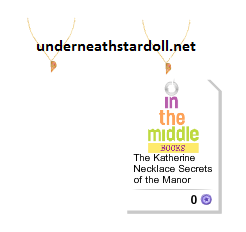 We can wear this free necklace together with the one that we can get from the "IN THE MIDDLE BOOKS" hidden store that is available at USA or also from catalog as Jodie posted earlier today. If you want you can click HERE to get all the items from this store at your dressing room.